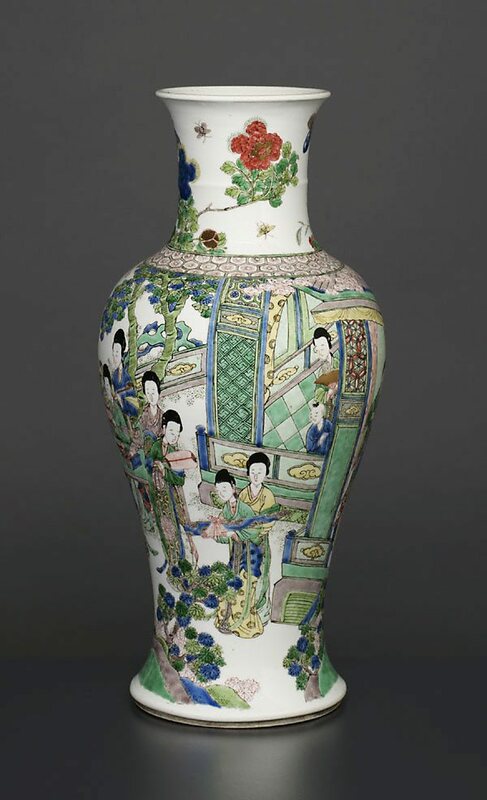 A popular innovation of the Kangxi period was 'famille verte', a term coined in the mid 1800s by the French ceramic collector Albert Jacquemart to refer to the prevailing green colour in the overglaze decoration. This style of pictorial decoration was especially favoured at the imperial court. The Asian Collections, AGNSW, 2003, pg.122. 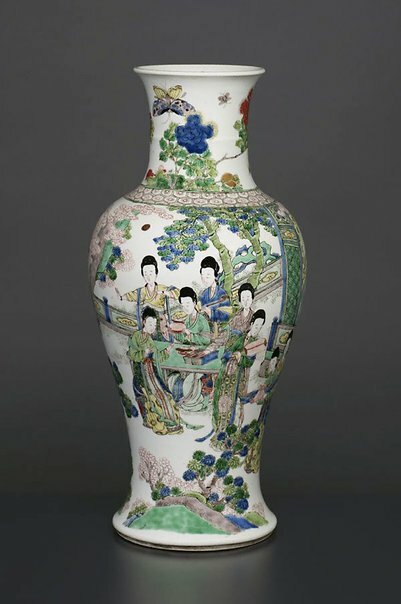 The Asian Collections Art Gallery of New South Wales , 'The Marvel of Porcelain', Sydney, 2003, 122-123 (colour illus.). The colour illus. on page 123 is a detail of this work.